A plethora of smartphones, laptops, netbooks and software have given technology fans enough to keep them satisfied this decade. 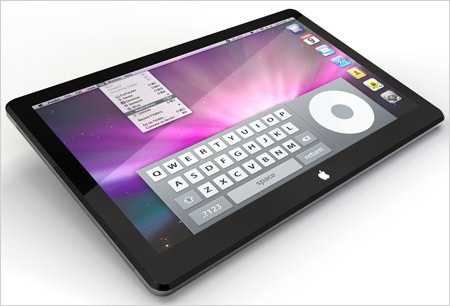 To gadget lovers out there, for sure, you’re all eagerly anticipating the line of new and hip gadgets for 2010. The rise of the applications market, new smartphones, touch screens and more powerful processors have ensured our day-to-day interactions with technology is becoming faster, easier and simply more entertaining. A few of these striking new gadgets have already achieved alot of attention during the last days but here we have rounded up the top 10 gadgets for 2010 that are worth-having! The Light Touch from Light Blue Optics is a marvel — it can beam a virtual computer on to any flat surface, allowing users to tap away as though on a proper keyboard. It’s not commercially available — the Cambridge-based company is hoping to license the technology to other manufacturers — but if it does go on sale, it could herald a shift in the way we interact with the world around us. When Apple introduced the iPhone, it shook up the cell phone business. Now, with the looming launch of a tablet-style computer, that definately means a new era for gadgetiers. It’s a tablet computer that can surf the Web and play music and videos. Apple’s tablet will use Verizon’s wireless data network to connect to the Internet when users are out of range of a Wi-Fi hotspot. Just look at the image and for sure, you can’t help but drool over the possibility of having one in the near future. 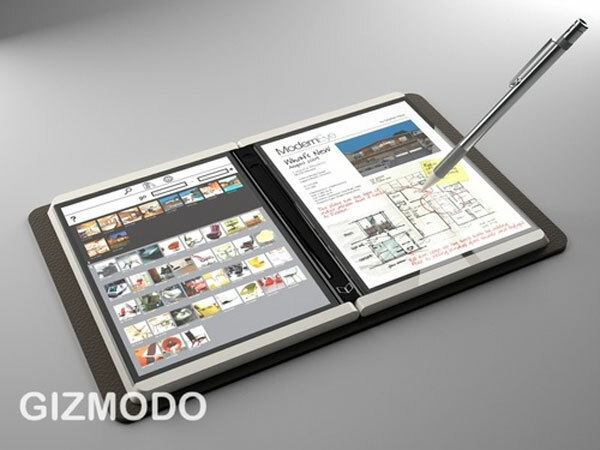 This will be the e-reader to own in 2010. The flat body reaches almost sci-fi-like thinness, and because the 11.6-inch screen has touch capability, the bezel is entirely free of buttons except for “home,” just like an iPhone or iPod Touch. Plastic Logic has also forged partnerships with over 300 newspapers and magazines to have their content specially formatted for the device to preserve the print-like formatting – an important aspect of those publications that is largely lost on other e-readers. Want to keep track of your appointments, to-do lists, and contacts in a techie way? Then, this is the gadget for you. Microsoft announced the development of its Courier Tablet last week and leaked videos show how the new interface will function.The heart for the Microsoft Courier seems to be the infinite journal which is only bound by the storage constraints of the device. The Microsoft Courier functions mainly by keeping track of your appointments, to-do lists, etc. It is also made to be flexible so you can create original sketches and drawings using MS Paint. Plus, with this device, you can snap photos, browse the web, take notes, and clip text and images from Internet pages. And guess what? It functions as an e-reader too, just like these ebook reader devices at Amazon. The Cell Processor-powered 3D HDTV from Toshiba has just about every feature you could ever imagine, and on top of that, the picture quality (colors, black levels, clarity) is extremely impressive. Arguably though, the most talked about feature of the Cell TV was the real-time 2D-to-3D conversion that the set is capable of doing, regardless of the input content (home video, pictures, movies, video games). We think that the presence of the 2D-to-3D conversion feature could be a major factor when it comes time for the consumer to make the jump into 3D, regardless of how good it looks, because it will effectively make all of their content 3D, and that translates to more perceived value. Of course, Toshiba is not alone in the conversion market. Competitors like Samsung, JVC and others were demoing their own 2D-to-3D conversion material but it wasn’t clear how the effect was being achieved. All in all, the Cell TV is a promising entry from Toshiba. We found it hard to find fault with any other aspect of the unit. This one could be a real winner for Toshiba when it’s paired with their Blu-ray 3D player, the BDX-3000. Additional glasses will be available separately but again, the price is not yet known. Collecting 3D glasses for multi-person viewing looks to be shaping up to a similar financial exercise as collecting controllers for video game consoles.